Asus launched four Zenfone 3 models in India today — Zenfone 3 Deluxe, Zenfone 3 Ultra, Zenfone 3 Laser and the Zenfone 3. Priced between Rs. 19,000 to Rs. 50,000, the models comes at an expensive end. 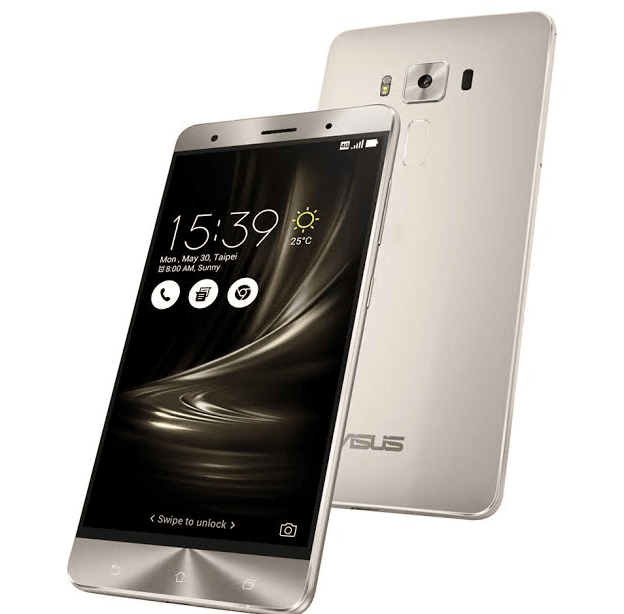 Among the four smartphones, Asus Zenfone 3 Deluxe features a 5.7-inch Full HD display and is powered by a quad-core Qualcomm Snapdragon 820 processor paired with 6GB of RAM and 256GB of ROM. It boasts of a 23MP camera with dual-tone LED flash and an 8MP front-facing camera. The connectivity options in the smartphone include 4G, LTE, 3G, Wi-Fi, Bluetooth, GPS and USB Type C. A fingerprint sensor and a 3000mAh battery complete the package. Asus Zenfone 3 Deluxe is priced at Rs. 49,999. Zenfone 3 Ultra is more a tablet with its 6.8-inch full HD display, powered by an octa-core Qualcomm Snapdragon 652 processor paired with 4GB RAM. There are two storage options available to choose from, a 64GB or a 128GB. The camera of the smartphone is similar to that of the Deluxe smartphone, a 23MP rear camera with LED flash. For selfies, there is an 8MP snapper. It also flaunts similar connectivity options as Deluxe variant such as 4G, LTE, 3G, Wi-Fi, Bluetooth, GPS and USB Type C. Ultra is priced at Rs. 49,999. Asus Zenfone 3 Laser comes with a 5.5-inch display, flaunts a 64-bit octa-core Qualcomm Snapdragon 430 processor coupled with 4GB of RAM and features 32GB internal storage. Located at the rear is a 13MP Sony IMX214 camera with LED flash and image stabilization. The front camera is that of an 8MP. The fingerprint sensor, Android 6.0 Marshmallow OS, and 3000mAh battery are the other notable features. Zenfone 3 Laser comes with a bearable price tag among the four, at Rs. 18,999. Asus Zenfone 3 features a 5.5-inch Full HD display with Corning Gorilla Glass protection. An octa-core Qualcomm Snapdragon 625 processor clocked at 2GHz powers the device. There is a 3GB of RAM and 64GB of ROM, which can be expanded further using a microSD card. In terms of camera, this dual-SIM smartphone boasts of a 16MP rear cam with dual-tone LED flash and an 8MP front shooter. It supports 4G, LTE, 3G, Wi-Fi, Bluetooth, GPS and USB Type C connectivity options. A 3000mAh battery and fingerprint sensor are also incorporated in the model. Zenfone 3 model costs Rs. 21,999. Asus Zenfone 3 will be available in the e-commerce stores from 17th August. Other models will launch for sale from the next month.